The Slender Man is a horror internet phenomenon that have spread throughout the internet by ARGs and now beyond into the movie and gaming industry. Slender Man is a mythical creature depicted as a tall, thin, humanoid figure wearing a black suit and red tie and has a bank pale face. According to the legend, it can stretch or shorten his arms at will and has tentacle-like appendages protruding from his back. Its height is depicted in between six and fifteen feet tall. Depending on the interpretations of the myth, the creature may cause memory loss, insomnia, paranoia, coughing fits known as “slendersickness”, photograph and video distortions. Slender Man has a number of abilities as well. It has the ability to camouflage, most notably the business suit which signifies a person of high status or rank and can blend in from a distance. It also can camouflage well among trees too especially when using his tentacles/multiple limbs ability. It has the ability of mind control, relationships with children whether by brainwashing, kidnapping or stalking them, fire or pyrokinesis, body mutilation, and selective visibility or the ability to choose who sees. The Slender Man has many connections or similarities to other mythological creatures. It has characteristics similar to faeries from traditional folklore, which have wings and vary in size and be kind, mischievous or even cruel. These traits that faeries and Slender Man have in common are they’re known to kidnap children, to disguise themselves and other things, to eat people, to cause disease to whomever makes contact, put people in a trance or under their control, visible only to certain people, teleportation, and trick humans into some sort of trap. There are other regions in the world that probably added or inspired to the Slender mythos. German lore has the poem, Schlankwald which translates approximately as Slim Forest, which describes a forest guardian who takes children and hunts who invade wooded territory. Another is Der Grossman or The Tall Man which is described as a fairy of the Black Forest who takes away bad children who entered the forest at night, and stalk them until the child confessed their wrongdoings to a parent. From Eastern Europe, The Tall Man is a Romanian fairy tale that centers on a girl and her mother, who kills her family under control of the entity. The description of The Tall Man is it’s dressed all in black as a nobleman with multiple sharp, snakelike arms. In North America, the Wendigo legend is about thin, skeletal, cannibalistic spirit that is linked to famine and decay. In Transmedia, The Slender Man is a subject greatly used in ARGs or alternate reality games. The top ARGs based on Slender Man are MarbleHornets (MH) along with its companion video series totheark (TTA), TribeTwelve (TT), EveryManHYBRID (EMH), and DarkHarvest00 (DH). With the Slenderman ARGs, YouTube channels are the most commonly used as a way for interaction. Twitter accounts, mail, live-streams, and Facebook are also used; EMH is most active in using other mediums than YouTube and fan interaction. Actions within the ARG narrative are referred to as In Game and following MH’s popularity Slenderblogs were made, that is, blog-based ARGs or narratives using Tumblr and other blog platforms. Most of these ARGs act oblivious to the awareness of Slender Man in pop-culture or the internet, not even the fact that Slender Man is hugely researched. These ARGs usually refer to Slender Man as “That Man” or “That Thing”. Few ARGs acknowledge prior information of the Slender Man, mostly because of the pop-culture references. TT, EMH, MH, and DH contain video and audio distortions whenever Slender Man is near which plays on the aspect of Slender Man’s ability effecting electronic devices. 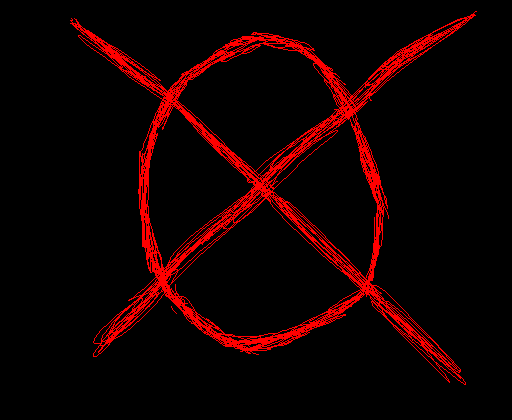 Marble Hornets does this more selectively, sometimes appearing heavily or sometimes not at all. EveryManHYBRID uses this with Slender Man along with the Rake who is another malicious entity like Slender Man but more feral and doglike. There is also continuity and crossovers with some of the ARGs as well. TT, EMH, and DH have crossover before as Noah Maxwell, the main protagonist of TribeTwelve, had met with both EMH and DH crew during certain circumstances. Such circumstances as he and the DH crew went into a forest to investigate a Slender Man worshiping cult known as The Order and he met with the EMH to investigate an envelope containing clues about his cousin Milo, a deceased Slender Man victim. Slender Man has transferred into other platforms in Transmedia such as movies and video games. There is a movie based on the Marble Hornets ARG entitled Marble Hornets with Doug Jones starring as the mythological creature. It’s slated for a 2014 release date and is the first mainstream film based on the Slender Man character. There are games based off Slender Man as well. Slender: The Eight Pages is a free download indie-developed game by Parsec Productions. It is a first person survival horror game where the player only wields a flashlight and the goal is to collect eight pages, pieces of paper with strange symbols and messages, in various areas in the woods while avoiding Slender Man. However, with each page collected Slender Man becomes more aggressive as it stalks the player, making video/audio distortions like in the ARGs. From the myths of old to the mythos of the modern era developed from ARGs, Slender Man has grown into a widespread internet myth that it jumped into other platforms such as film and video games.